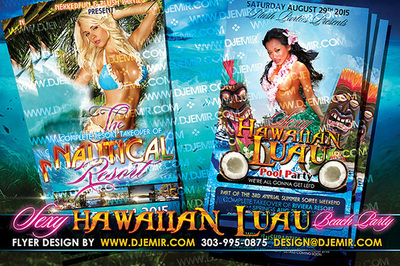 Extreme flyer designs is the sister site for the graphic design department at www.djemir.com Our Extreme Flyer Designs get the job done with class when other flyer designers just can't cut it. 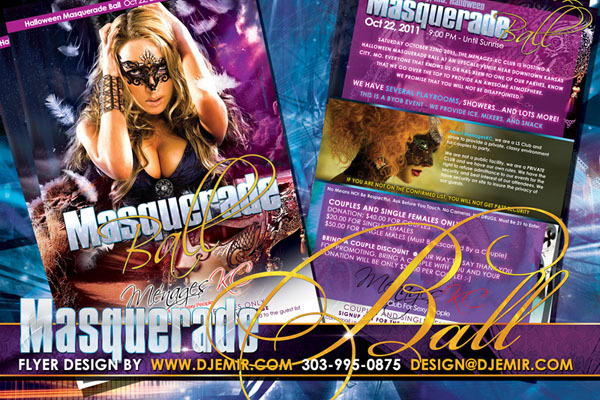 Our years of experience help us develop gorgeous flyer designs that stand out and get you noticed. Our designs are extremely affordable for a much higher level of quality! 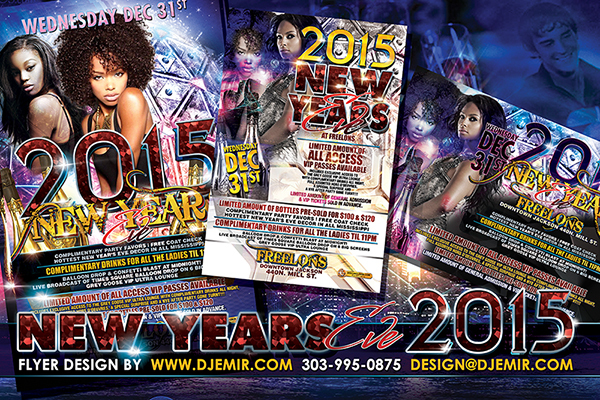 Our amazing flyer designs are priced at just $150 per flyer design for 3-5 Business Day turnaround. 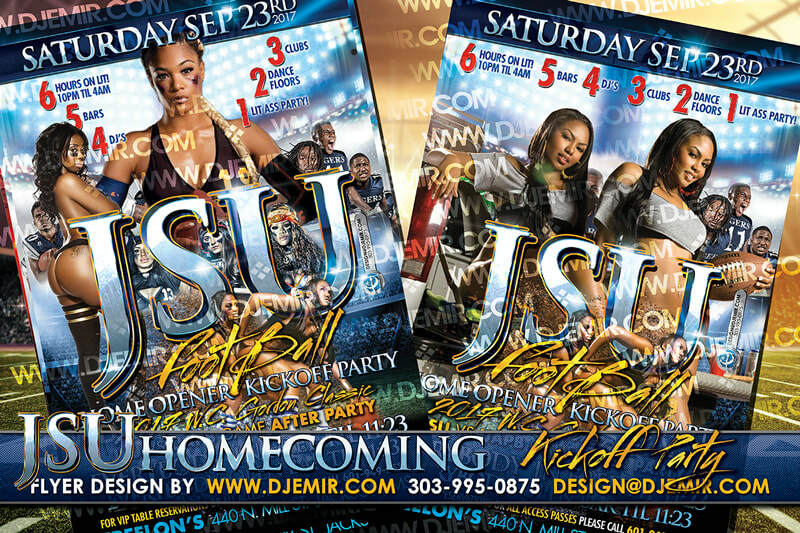 Or $200 for Rush Order 1-2 Day Flyer design. 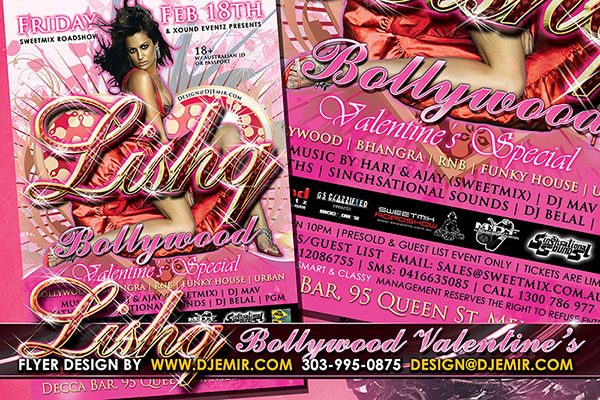 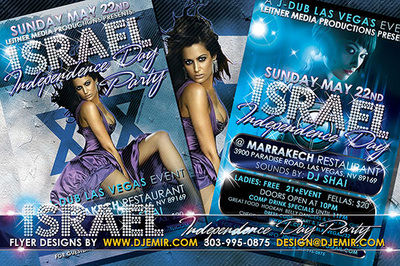 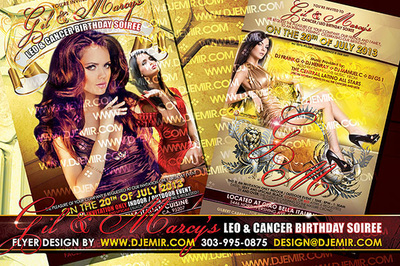 visit our Flyer Design portfolio on the design page of www.djemir.com located at www.djemir.com/designs.html for more design samples. 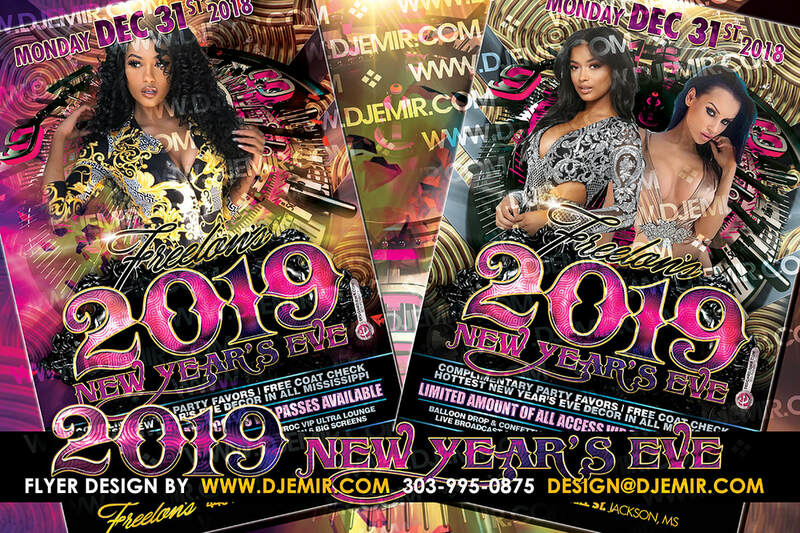 You can also check out specific party flyer designs for New Year's Flyers, All White Flyers, Christmas Party Flyers Football and Sports event flyers, Models And Bottles Flyers and other themed party flyers. We can also design restaurant menus, poster designs, door hangers and postcard designs for businesses and companies that want to do bulk mail postcard promotion designs and POS point of sale display designs. 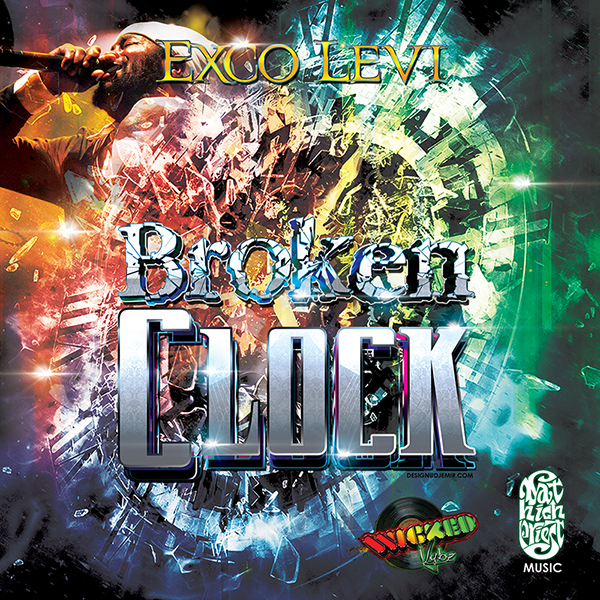 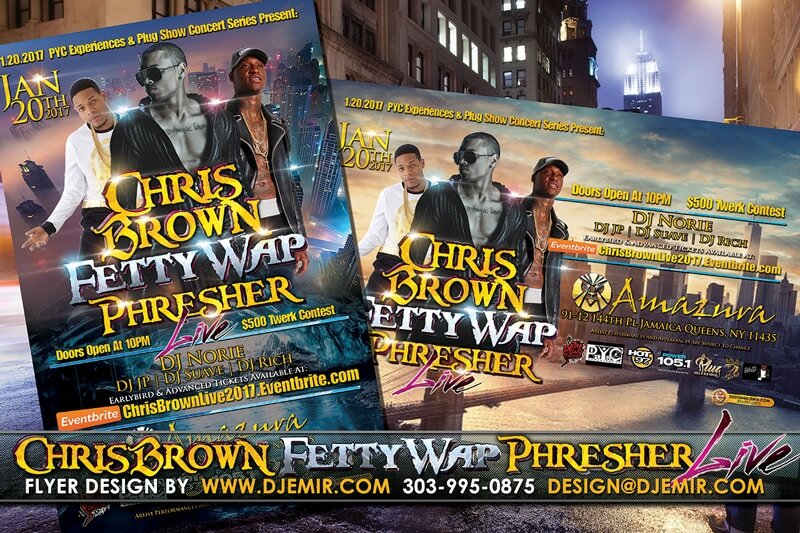 At Extreme Flyer Designs we are ready to accommodate all your design needs with great logo designs, flyer designs, ticket designs, posters, postcards, album cover designs, CDs, t-shirts and graphics. 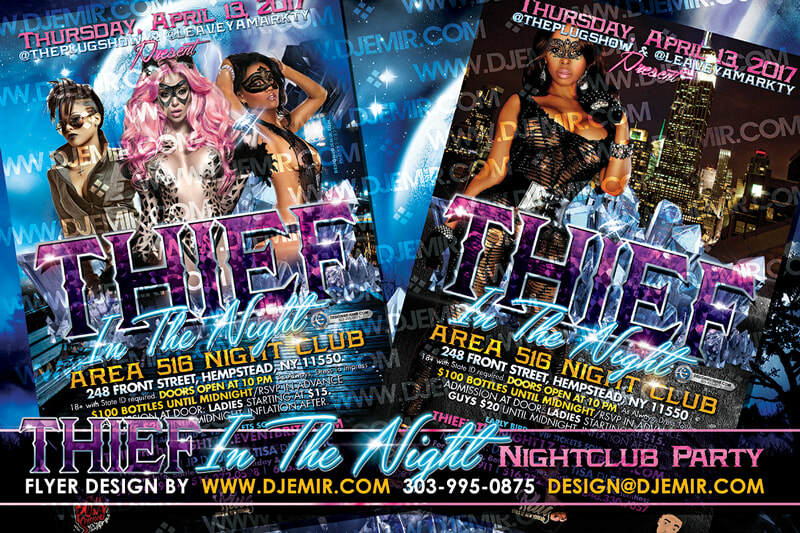 We create all kinds of flyer and graphic designs, sale sheets, information booklets, letterhead, folders, calendars, power point images, trifold brochures, door hangers and whatever other branding designs and graphic designs your company might need. We have a huge library of high quality images to meet your particular design needs. 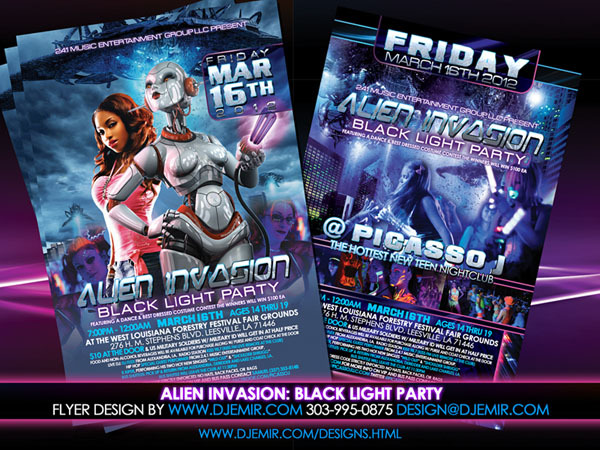 We start our designs in large 12x18 poster size CMYK color format with high definition images then shrink to smaller flyer print sizes at 6x9 and 4x6 before converting to RGB format to save a web version for website and social media site use. 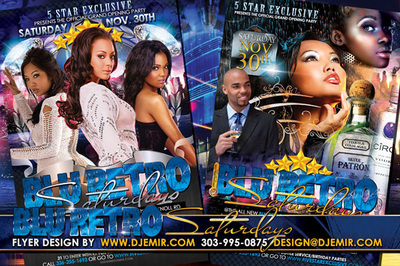 This ensures that your design will be the sharpest and cleanest looking flyers out there. With exceptional detail and clarity not found anywhere else. This also means you can print amazingly clear and clean looking posters of your design to hang in various shops, and venues around town. We know there are cheap inexpensive graphic designers out there, but they just don't deliver the quality and value that we do. 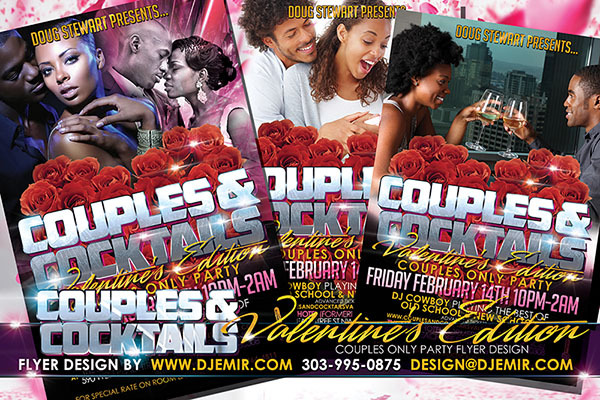 Often we are contacted because someone decided to go with someone else and ended up with a design that is no where near our quality and the client simply wants us to redo the flyer to our standards so they can be happy with it. 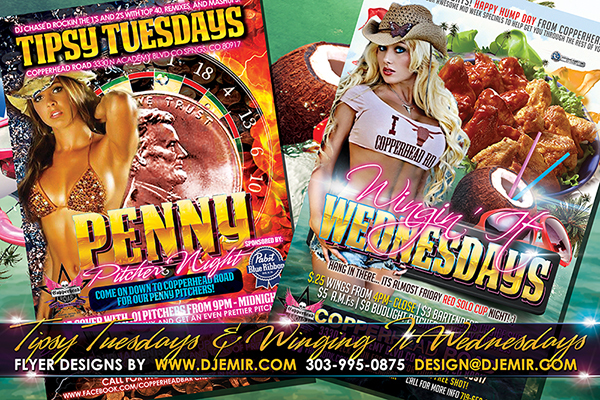 Our Flyer and Graphic Designs offer the best value for your investment and you will not find a better graphic designer at this price point! 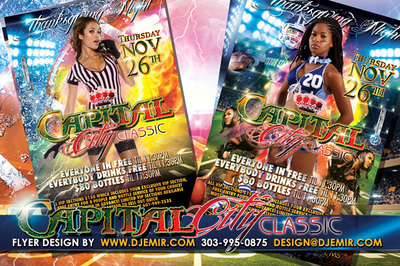 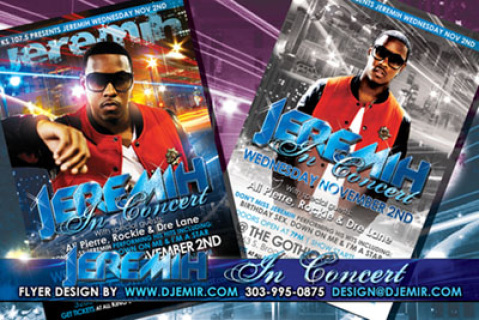 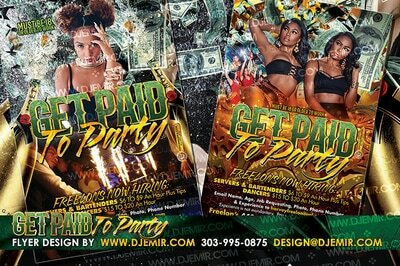 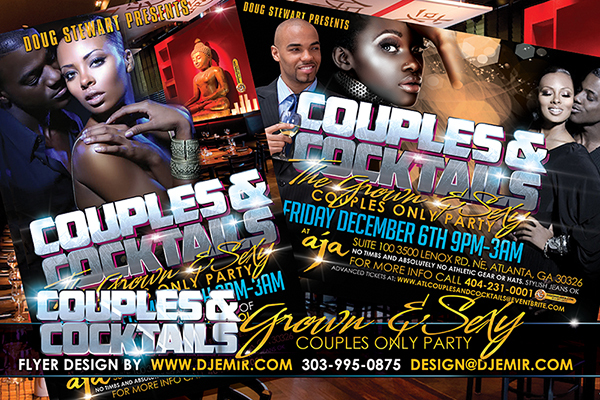 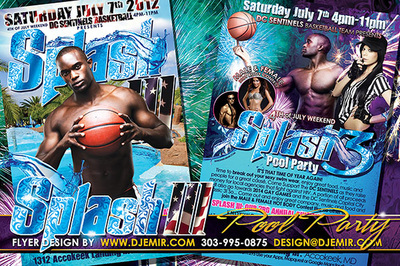 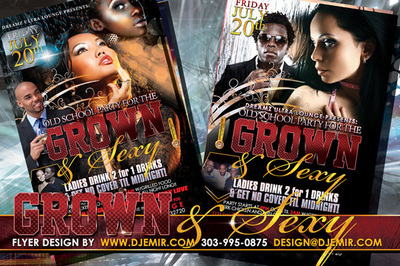 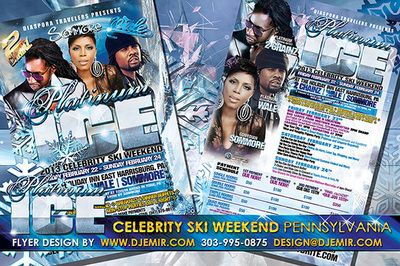 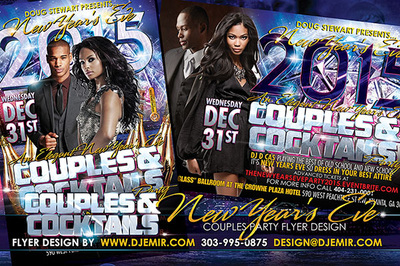 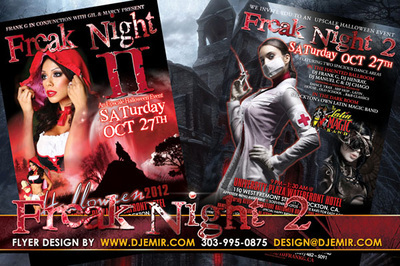 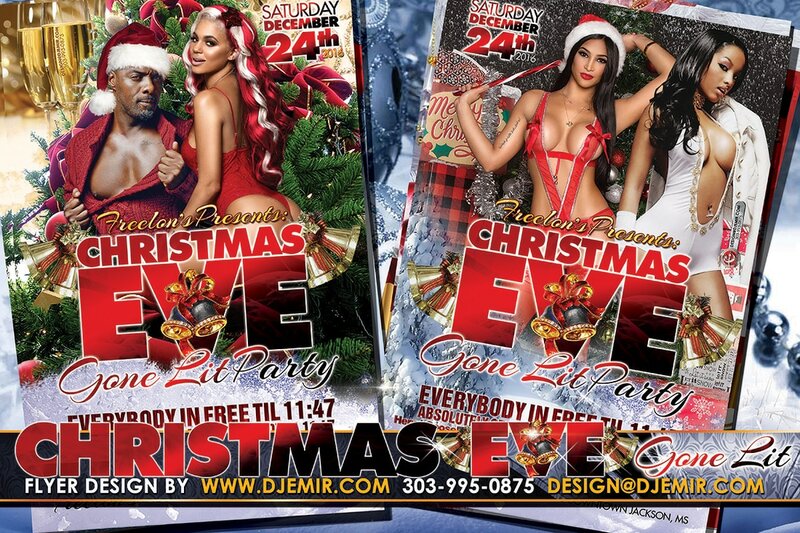 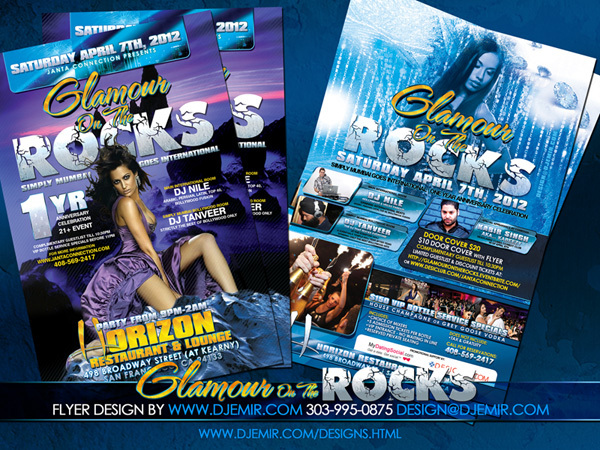 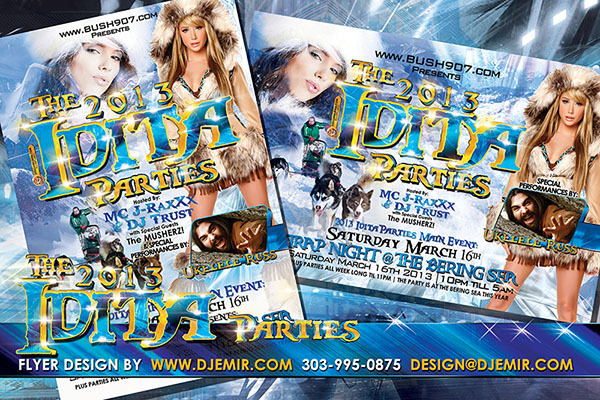 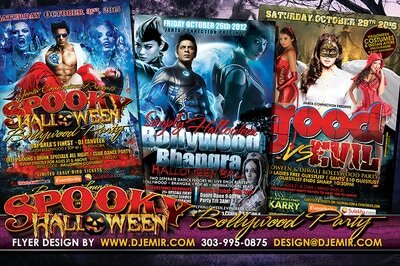 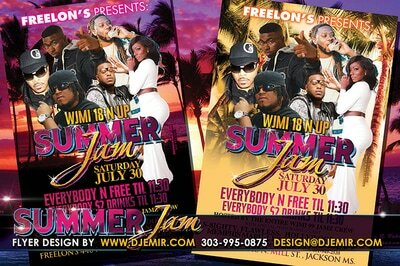 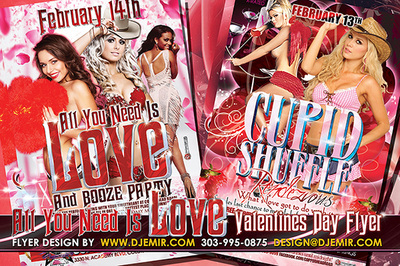 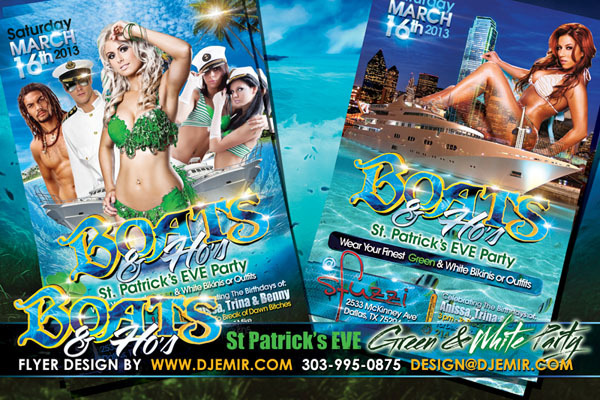 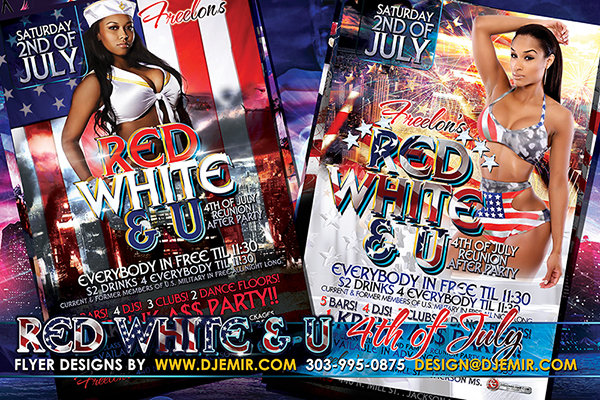 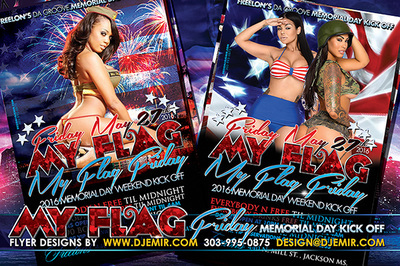 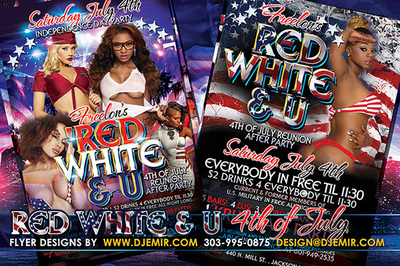 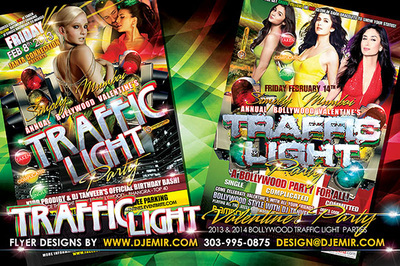 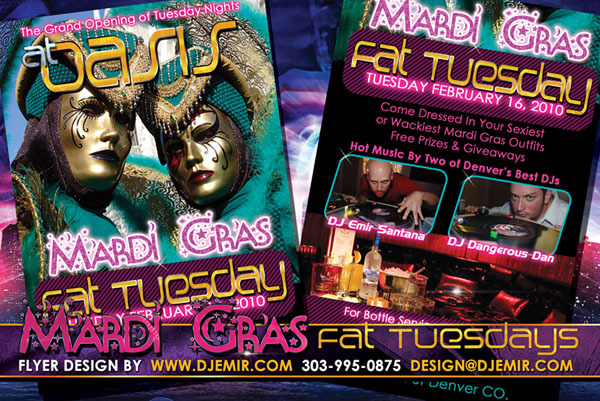 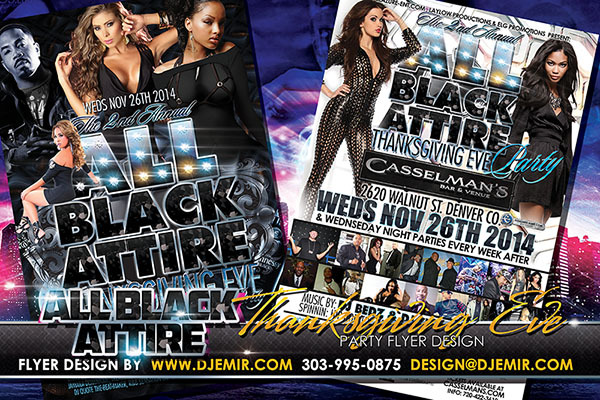 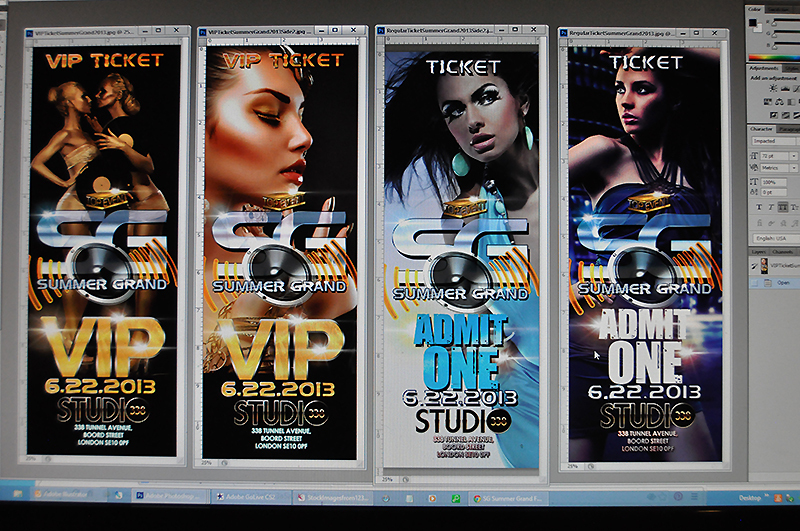 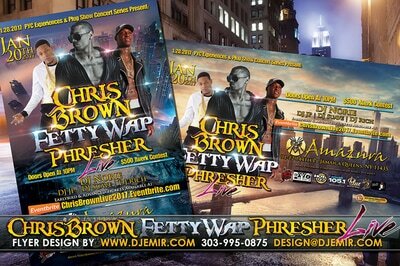 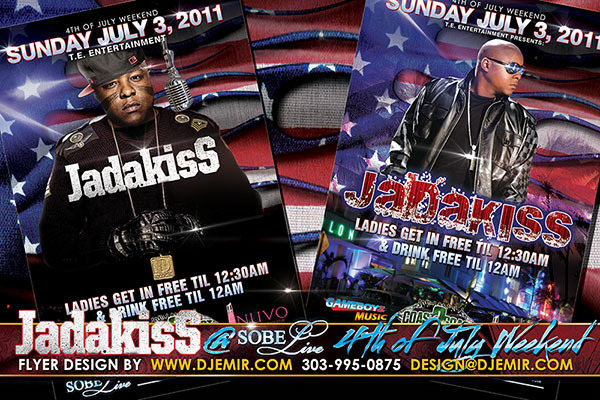 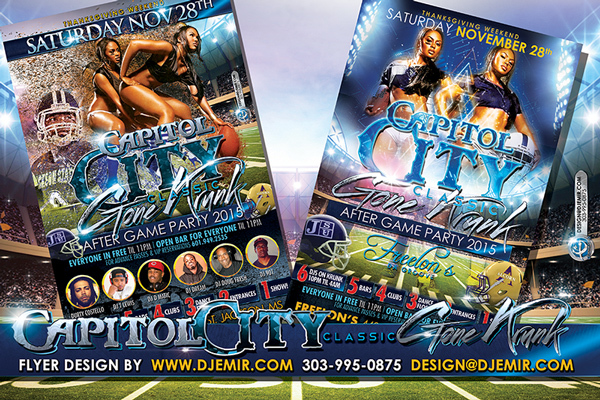 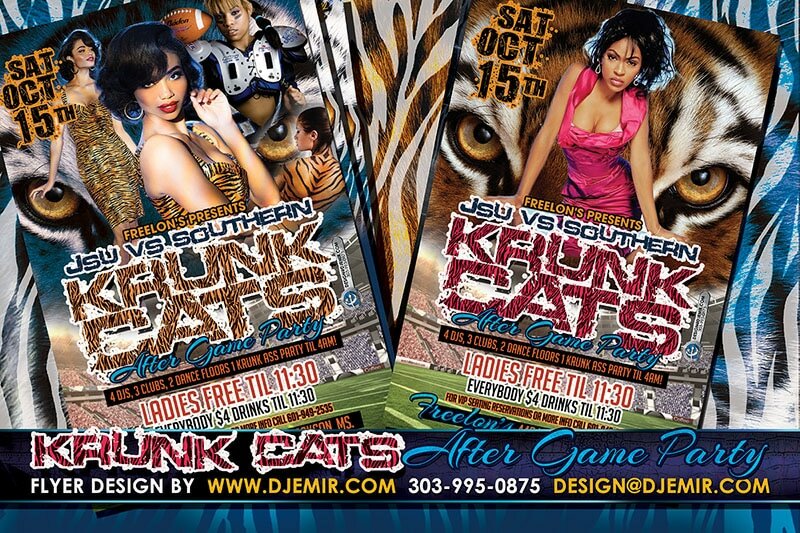 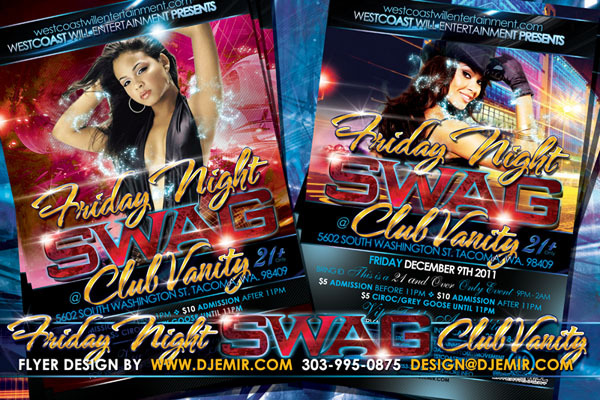 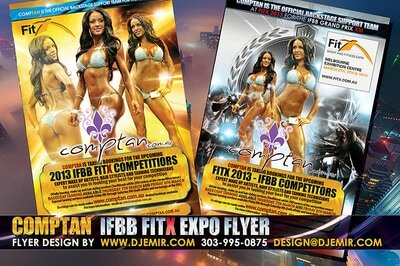 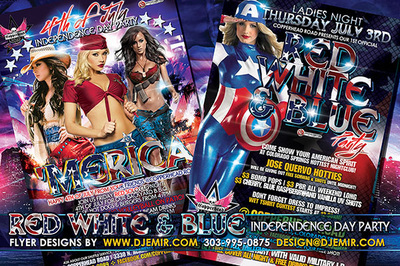 Contact: ExtremeFlyerDesigns@GMail.com or design@djemir.com or call 303-995-0875 to start your graphic design today! 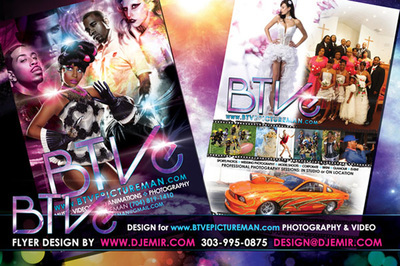 Website Design Services: Includes custom graphics, headers and overall template design. New Year's Eve Flyer Designs That Get Noticed! Get amazing New Year's Eve flyers like this ultra elegant New Year's Eve Flyer Design with Gold, Silver, Pink and Black Color Scheme and Black 3D clock in the background. Our team of talented graphic designers is ready to create stunning flyer designs for your events. We also offer Rush flyer design services if you still need your flyer design in a flash. 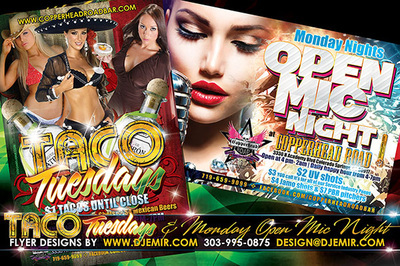 Get in touch with us, and let us know your needs and thoughts! 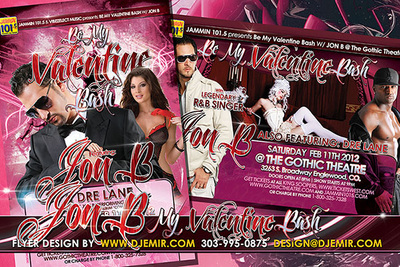 Leave us a comment about our designs or leave us instructions or your thoughts about what you need us to design. 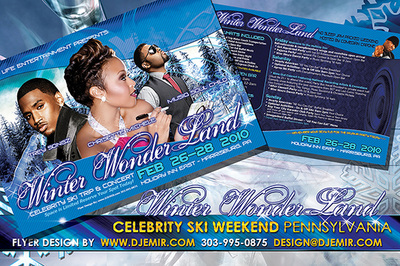 Most of our designs are custom built to match the theme of your event or promotion. We design everything from Labor Day White Party Flyers to amazing company logos, letterhead and stationery. 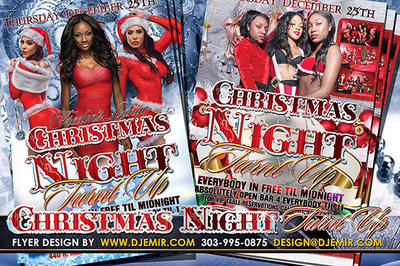 You need an amazing All Red and White Christmas Party Flyer?, an all Gold New years Eve Flyer? 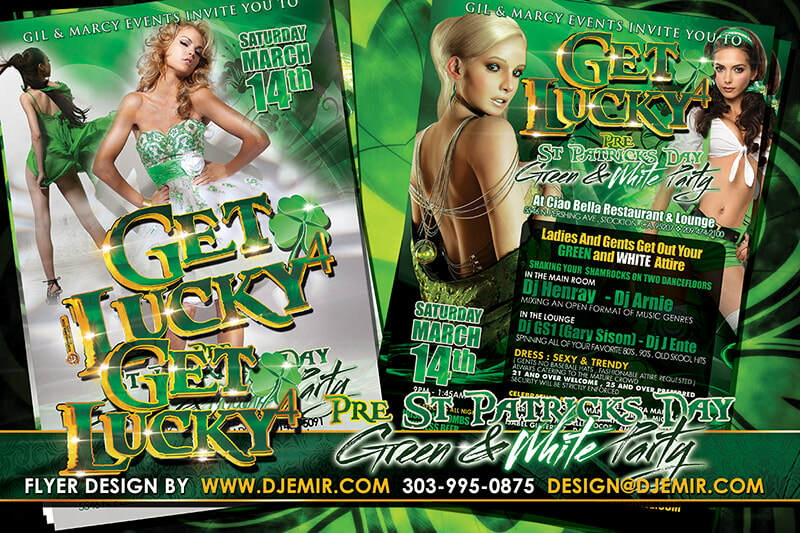 A Green and Gold or Green and White St. Patrick's Day Flyer? We have you covered, Anything you can dream up we can design. 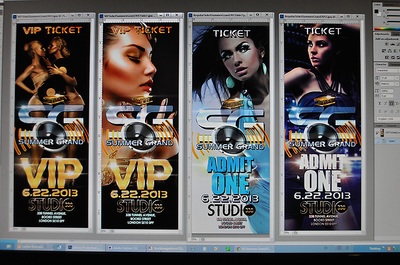 You are the dreamers and we the dream makers, the designers of dreams. How do you know you will like your flyer design? If you like the flyer designs you see here most likely you will love the amazing designs we create for you as well! 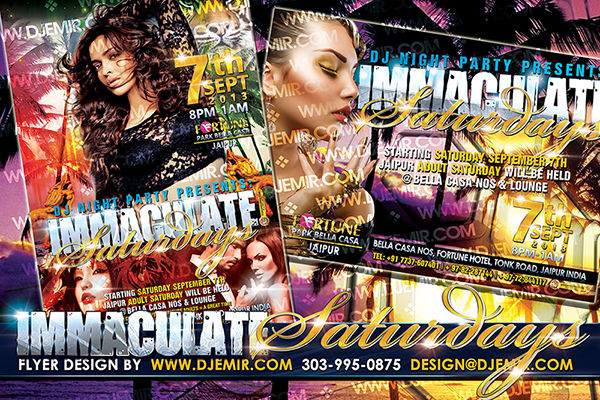 We custom fit each design to match your theme and specifications and can also incorporate specific images of your venue friends, artists personal models or past events if you want as well. Give us a try and you'll love your results! 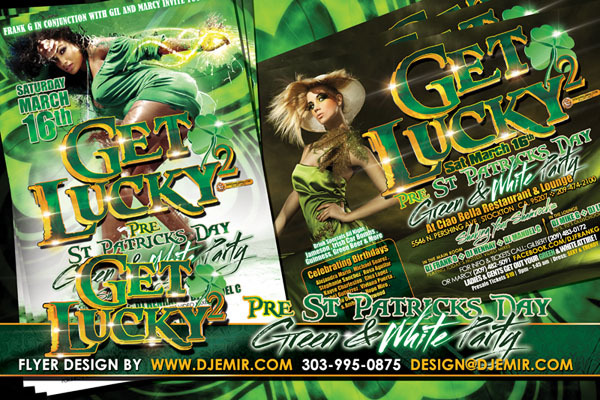 You can also visit our sister site www.djemir.com and their flyer design section for more flyer design samples.Per our policy: All flyer designs, logo designs and graphics must be paid for in advance. 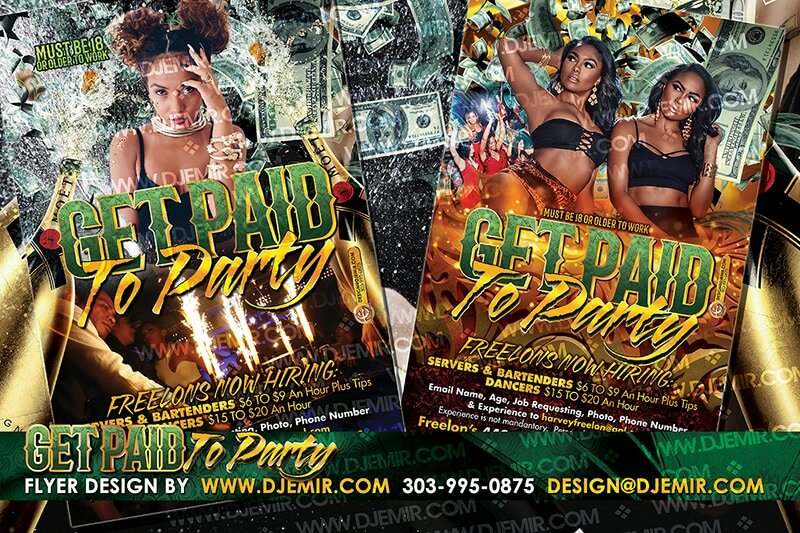 Our flyer designs run $150 for 3-5 Business Day turnaround or $200 for 24-48 hour turnaround rush flyer design option which gets your initial design back within 48 hours. If design revisions are required they will add a little more time to the design process and part of that time is based on your own response time. 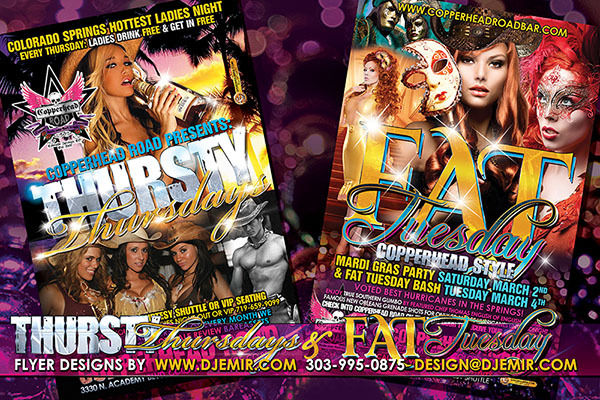 We Design Amazing Flyers and Graphics For Major Cities Around The World!